For the third year in row, Iraqi youth learned about Iraqi heritage in the annual youth camp in Chibayish Marshes in Dhi Qar Governorate, Southern Iraq. This camp is an annual event organized by Humat Dijlah and the Mashufna Cultural Center. 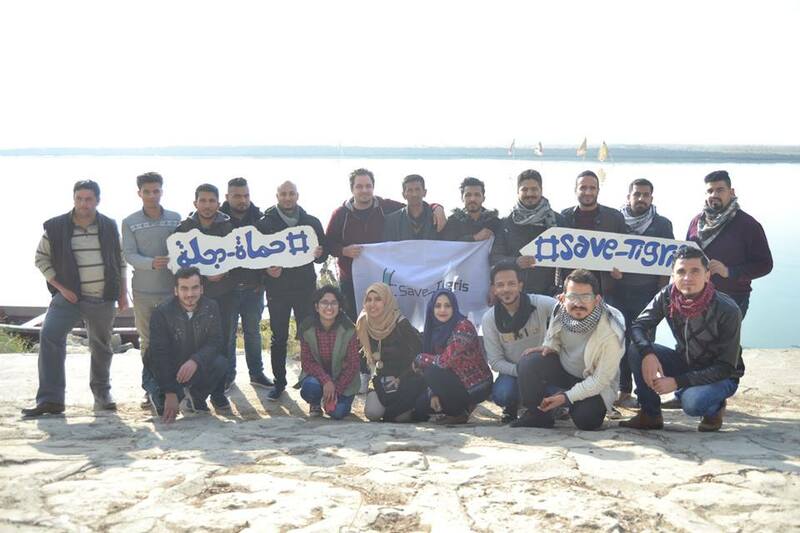 Participants were young activists from the cities of Baghdad, Najaf, Hit, Nasiriyah and Diwaniyah to assess the environmental situation of the marshes in Iraq. From 27-30 December, they spent their time in the Marshes of Chibayish and the city of Nasiriyah. The youth met with the civil society coalition “Our Marshes”, toured the Iraqi Marshlands and participated in the festival of Dhi Qar Forum. The Marshles are part of the Ahwar of Iraq, which was inscribed in the UNESCO World Heritage List in 2016. 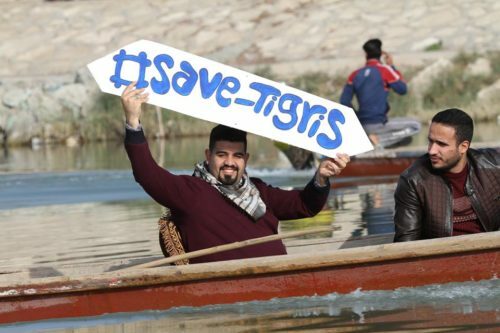 Since this event took place at a time of drought crisis and scarcity of water flows from the Tigris River, it was all the more important to introduce Iraqi youth to the natural and cultural beauty of the Ahwar. In partnership with the recently opened Mashufna Cultural Center in the city of Nasiriyah within the space of “I love Dhi Qar” Forum, a civil society gathering convened, lead by Humat Dijlah and the recently established “Our Marshes” civil society coalition. Activists from various environmental and water organizations participated in the conference, discussing the rehabilitation of the Iraqi Marshes and wetlands, including the disbursement of 80 billion Iraqi dinars allocated by the Iraqi government to establish development projects and infrastructure in the marshland areas (These allocations have not yet been disbursed). The conference also touched upon water security and the current low levels of water. This water is needed to sustain the Marshes and preserve its ecosystem. Tribal sheikhs from the Marshlands, representatives of the Dhi Qar provincial council and local government, ministry representatives participated in this conference. After an evening on the banks of the Euphrates River discussing the water challenges faced by Iraq the activists commenced a tour from the Euphrates River to the Al-Sahaki area in the Central Marshes, down to Alimalq passageway and from there to Al-Kasra along the security line to the Shan Kubba area. Then they went to the Baghdadi pond, to the Euphrates River. This tour witnessed several stops including information about the old river transport methods used, the biodiversity of the region, brief reviews of the natural beauty of the area and the devastating effects of dams on the Marshes of Southern Iraq. On the morning of December 30 the youth visited the ancient city of Ur and its famous ziggurat, which are part of the The activists noted the lack of care and maintenance necessary to ensure the sustainability of these monuments, especially considering its recent inscription in the World Heritage List. Afterwards the participants went to “I Love Dhi Qar” Festival, in which dozens of organizations and volunteer groups had set up bazaars, art galleries and performed theater. Humat Dijlah was one of the associations present. Campaign ActivitiesPostponement of Ilisu Dam Reservoir is Not a Success!